Personal development is the pursuit of developing, honing and mastering the skills that help us become the best that we can, with all that we have. It is the reaching for and realizing of our full potential as human beings. We all want to live full, productive lives, but sometimes, we just don't know where to begin. There is so much information 'out there' that it can be overwhelming and hard to sort out. Depending on the problem, what seems to work for one person, may not necessarily work for everyone. There are so many different programs, strategies and techniques, that it's hard to chose the right one. One thing, however, is certain. If we want to accomplish anything in life and realize our full potential, we must have some skills - in this case life skills. In order to excel at a job, a sport, or any discipline, a person must acquire and master certain skills. Living life fully and productively is no different. Furthermore, possessing life skills enables you to deal with the life's inevitable difficulties and adversities more effectively. It lessens your chances of overusing prescription drugs, engaging in addictive behaviors and experiencing overall despair and hopelessness. When you have the proper tools and strategies at your disposal, you have more control over your life and are therefore happier and more productive. You begin by establishing a firm foundation. That foundation is "you". You must know who you are, what you want, and what you are capable of. You must then determine which values, goals and principles you will set up to guide your actions. attain personal satisfaction and fulfillment. Often, the hardest part in any endeavor is getting started, however once you do, there is a surprising snowball effect. You will begin to feel good about what you're doing and you'll want to continue. You will strive to keep improving and you will aspire to become the best you that you can. As you continue on the journey of personal development, you will become aware that there is so much more knowledge and information to be discovered and uncovered than you ever thought possible - knowledge about yourself, knowledge about others, knowledge about life and the world around you. According to Aristotle: "All men by nature desire knowledge." Personal development is about desiring and pursuing knowledge. To assist you in your pursuit of knowledge and in expanding your horizons, I encourage you to read and explore the pages on the arts, philosophy, and sports. 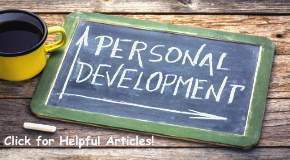 We often tend to overlook how much they contribute to personal development and to the balancing of the personality. Enjoy also the inspirational quotes, and personal development articles that include helpful tips and strategies, as well as other interesting pointers. 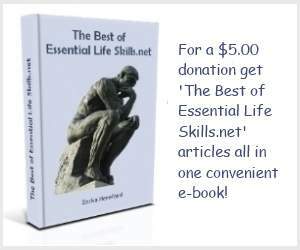 The good news is, that acquiring Essential Life Skills will not only contribute to your personal growth and development, it will make you a more interesting and dynamic individual. 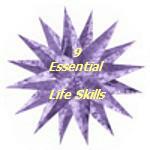 Why are these skills essential? Because without having developed them, you will always feel that something is missing in your life. What good is all the financial success in the world if you don't have self-confidence, know who you really are, what you want, or what you are doing here? We've all witnessed many outwardly successful and famous people who have not been able to find personal happiness. No amount of fame or fortune could fill the void they felt inside. Personal development is an ongoing process and journey. As Robert Louis Stevenson said: "To be what we are, and to become what we are capable of becoming, is the only end of life."